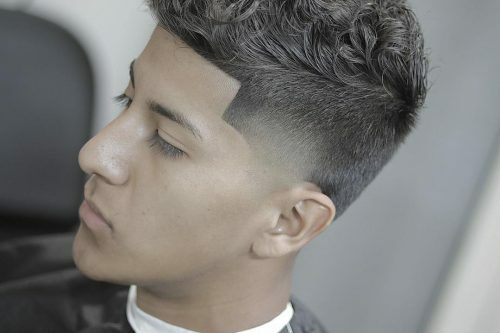 Brush it up and give it its most voluminous form or go for tapered, faded sides for that contrasted look. 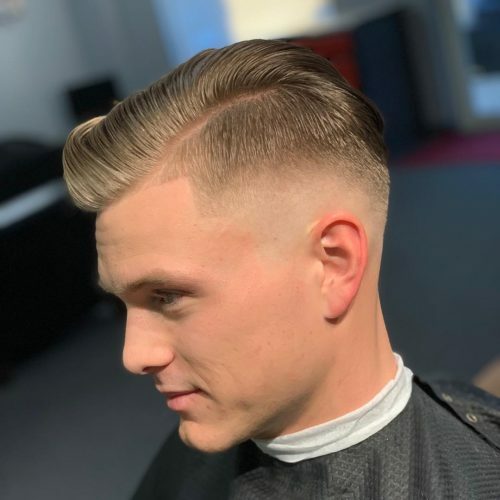 An all-time favorite men’s hairstyle, the comb over is popular for its versatility and flexibility, partnered with various hair length, color, and texture. 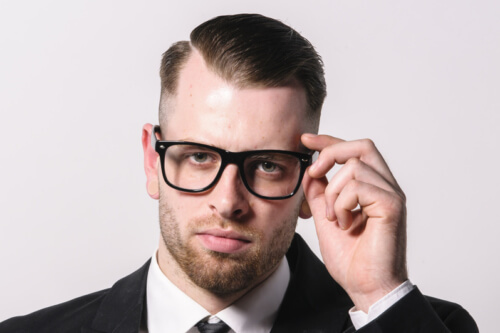 The comb over hairstyle has evolved over time but still remains a classic. 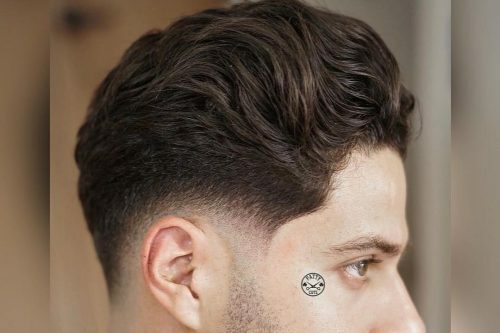 Add a product like a high-quality pomade. 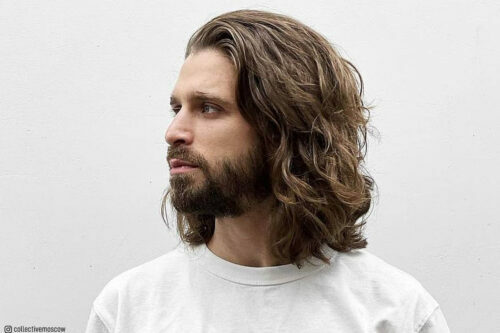 Grab your standard comb and brush your hair forward. Find your hair’s natural part that’s typically just above the outside of your eyebrow (either side of the head is fine). 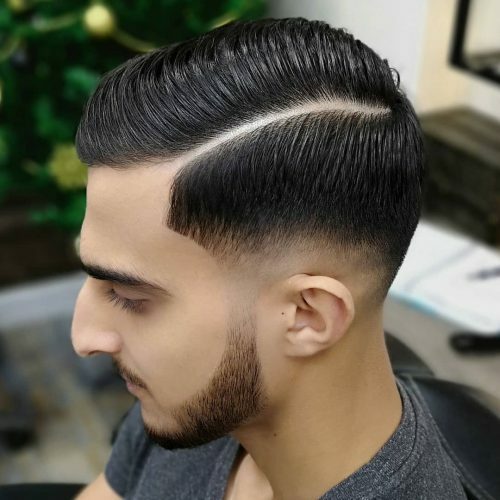 Use your comb to create the part by combing your hair to one side of the part, and then comb the hair down on the other side. Brush your hair up in the front if you have long hair for a natural wave. 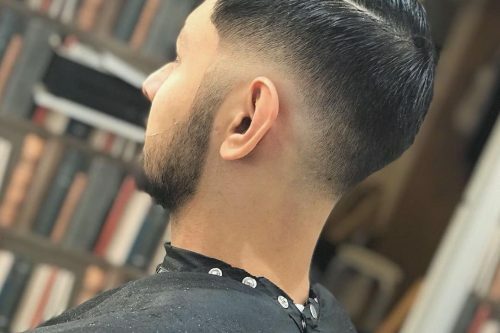 If you have shorter hair, you can leave your hair down. 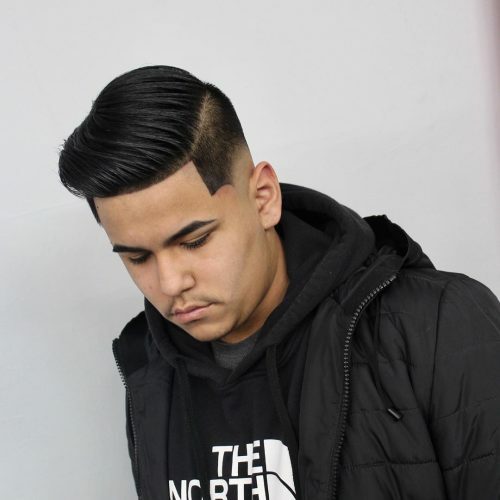 A must try for all ages – look sleek and suave with this hairstyle! 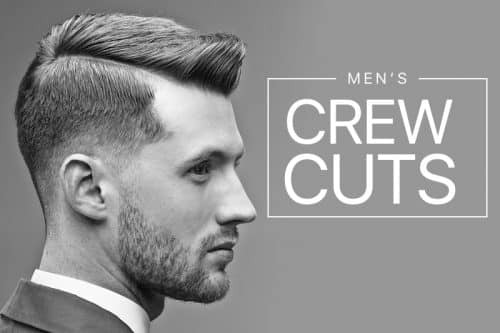 Go on and be your most dapper with these popular photos of comb over haircuts for your next inspiration! 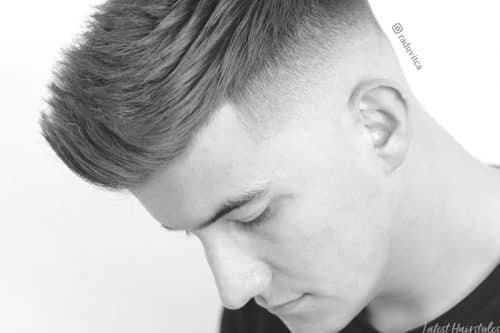 Keep a cut perfect for a fresh everyday look with this easy styling. It’s neat and definitely says who the man is. 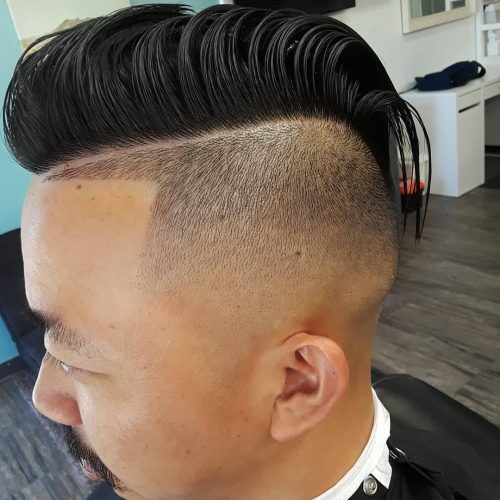 This comb over haircut is distinguished by the high fade. 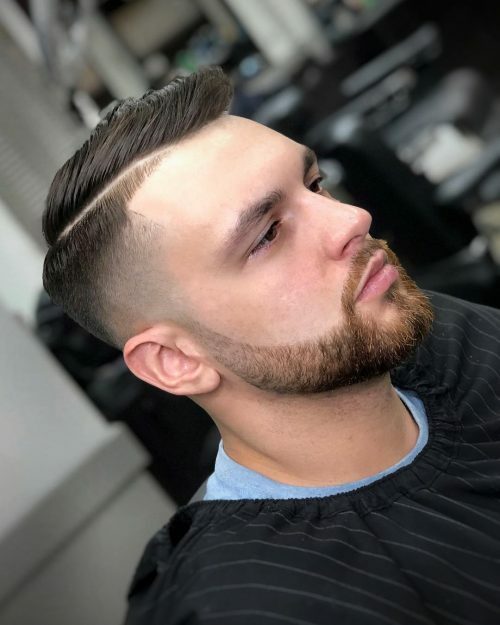 Finding the sharpest look for men? 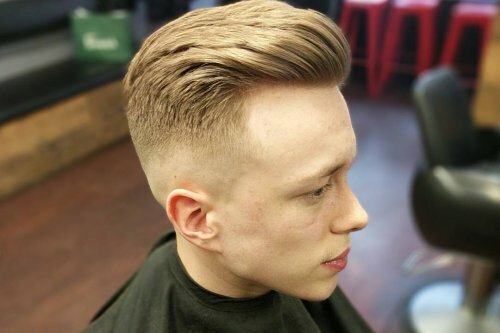 This neat comb over hairstyle brushed to the sides is one of the most perfect and easiest groomed look you can get. 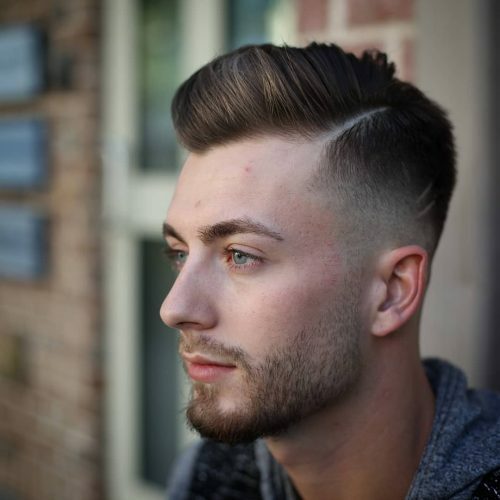 This impressive style can accommodate any guy who has the class and awesomeness to wear it. 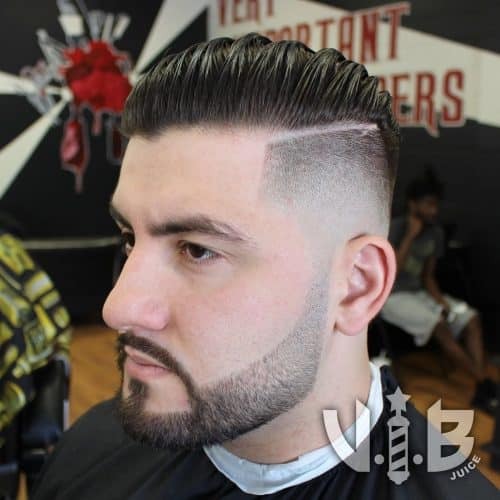 Use a fade to transition neatly into a handsome beard. 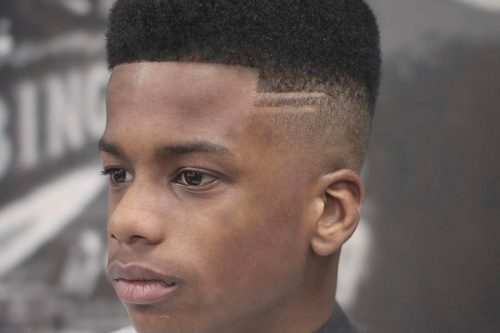 This classic comb over haircut can be worn by anyone. 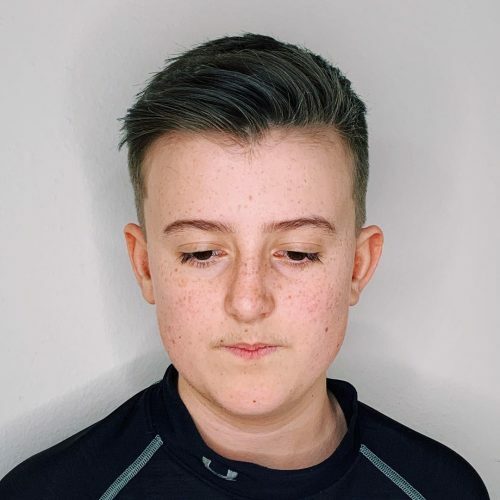 This haircut is a versatile one! 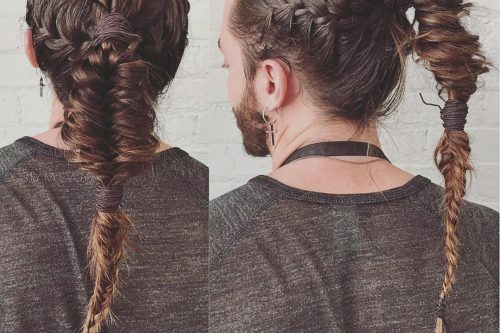 I love hairstyles that leave options. 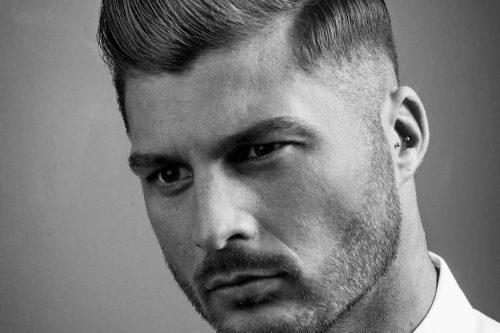 You can really slick it back and over for a formal event or just loosely style it for a more everyday relaxed look. 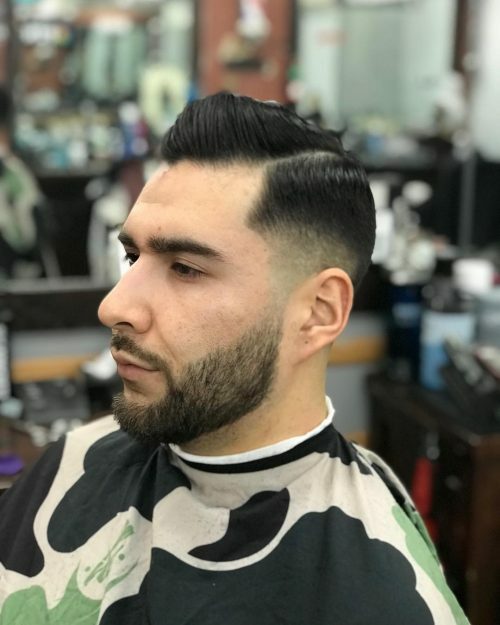 To successfully pull off this haircut, I would recommend a pomade for styling either with a nice shine finish or a natural matte look. 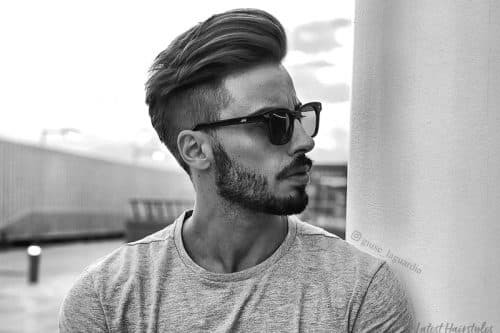 This style isn’t too hard to maintain but in order to upkeep the hair, you have to comb/brush and use blow dryer combo with a product to do it correctly. 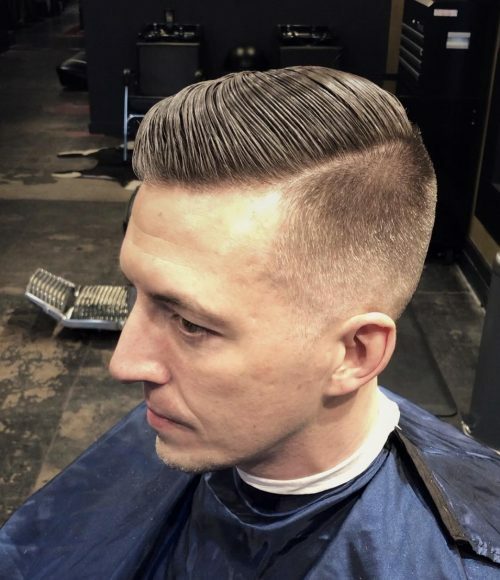 I want to say any hair type can pull this comb over hairstyle off. I personally like the dark more coarse hair, for that skin to hair contrast makes it more noticeable. 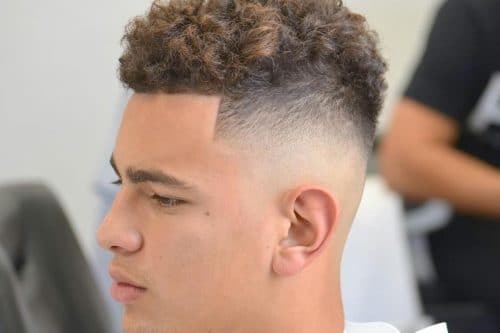 This haircut can be club ready for Friday night or business orientated for meetings Monday morning. 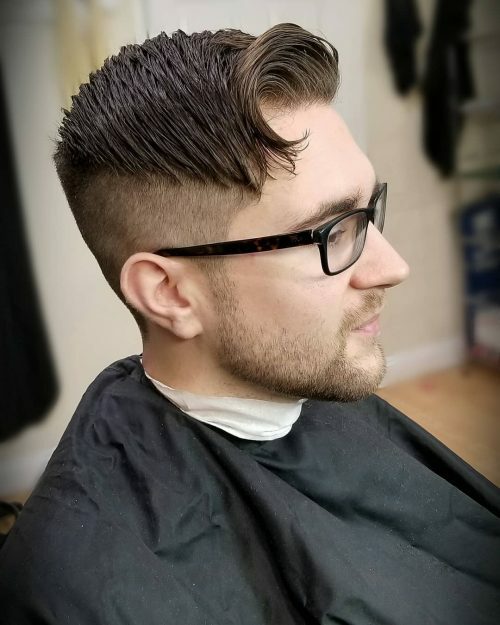 Clean, cut, and suave. 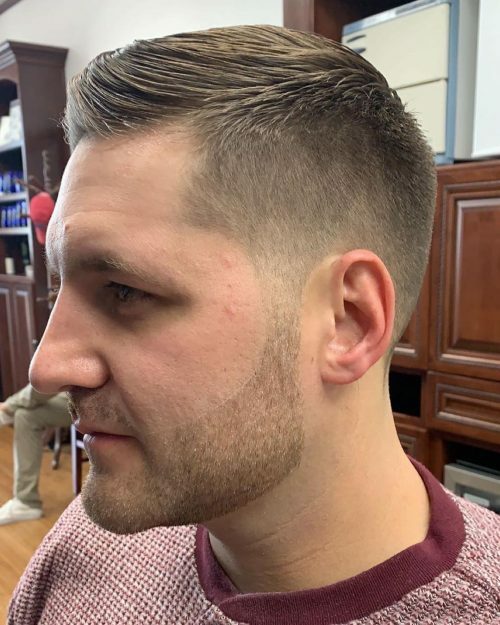 If you are pursuing this comb over haircut but prefer to have more volume to it, you will need a strong wide tooth comb and a blow dryer to assist that desired look. But what I believe the most important factor is your daily lifestyle. 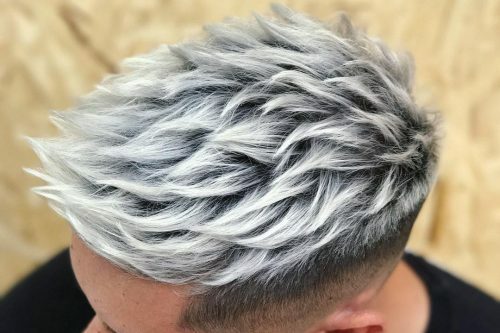 This style could possibly use more maintenance throughout your day, depending on your activity load. Physical work or activity, humidity, or wetness could all affectively ruin the style, so keep that in mind! 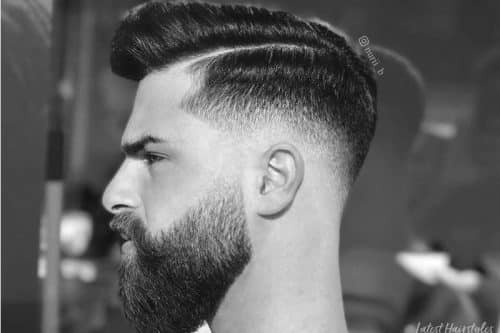 Otherwise, I recommend everyone give this haircut style a try. 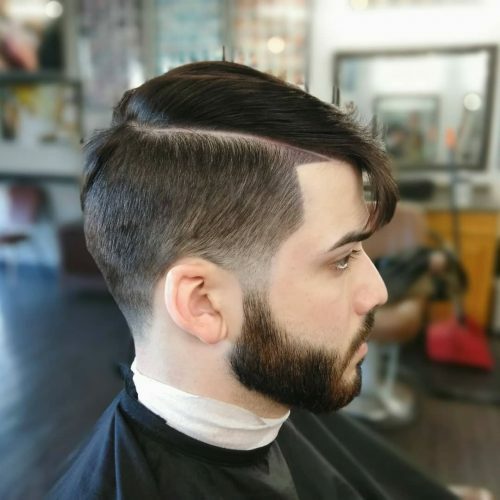 I would recommend this comb over haircut to clients with straight hair, and to maintain this style you must use a strong holding product. 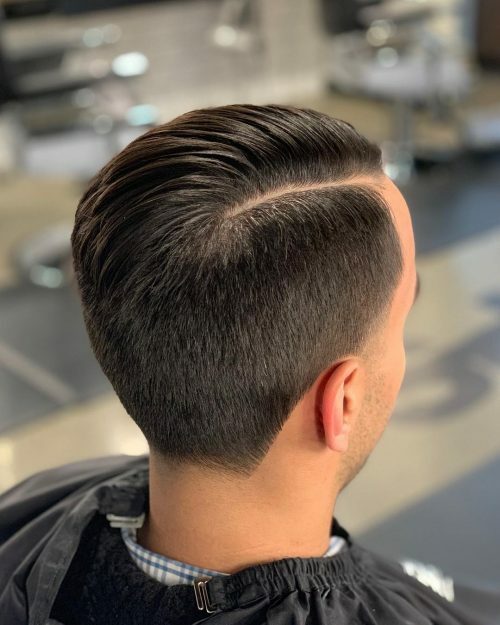 This is a modern, professional everyday comb over haircut that can be worn in the office and a night out on the town. 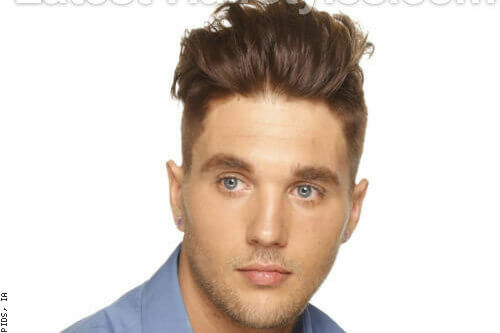 What I like about this comb over hairstyle is that you may also wear this spiked on top for a more edgy look. 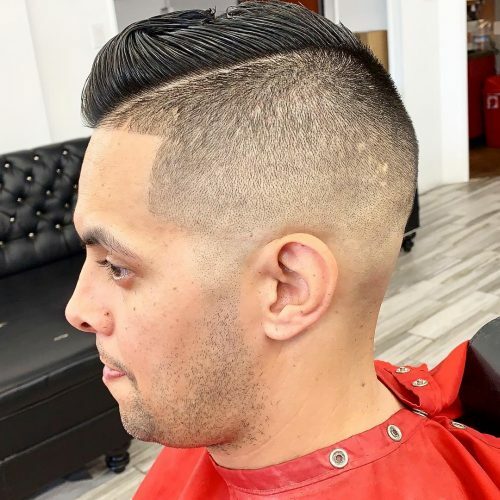 I love this comb over haircut because it embodies my method of barbering, which is to scatter different styles and compress them together to create a modern type of Rockabilly-style haircut. 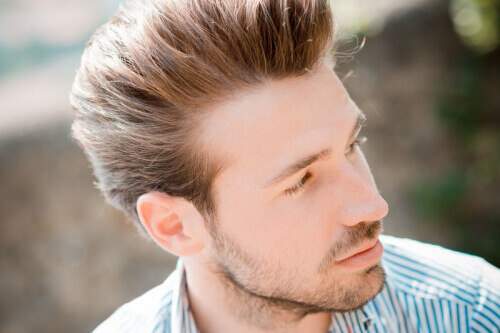 The quiff is a nod to Euro-chic men’s hairstyles. 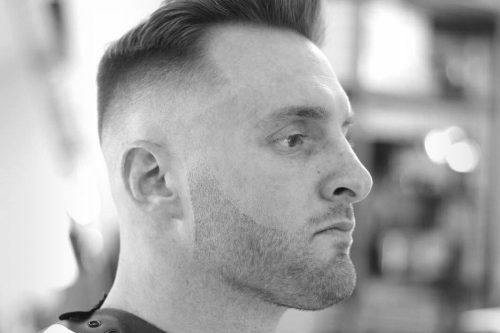 I proceed to take inspiration from my own Latin heritage in the precise razor work and skin-tight blending. 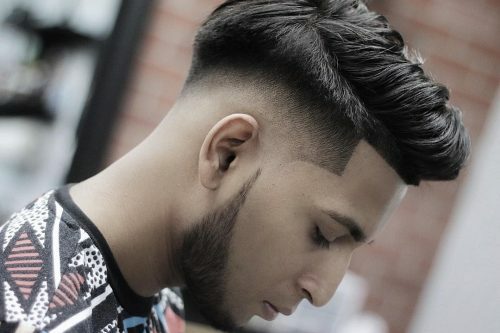 This comb over haircut is definitely meant for someone who has time to do their hair. I wouldn’t necessarily deem it appropriate for the office, but perfect for any profession that allows a bit more artistic freedom. It’s a style that definitely speaks for you. It says you care about your appearance, but still have a youthful spirit.